Super heroes aren’t the only ones with alter egos. Musicians have long used fantasy and reinvention as a way to explore new sounds and creative spaces. From David Bowie’s Ziggy Stardust to Nicki Minaj’s Roman Zolanski, expression becomes limitless through the power of reinvention. These reinventions often mark departures in both sound and genre. But sometimes, rarely, they build upon the groundwork of previous exploits. The musician tinkers with rejected ideas, revisits old ones and emerges with a sound that is thoroughly modern. 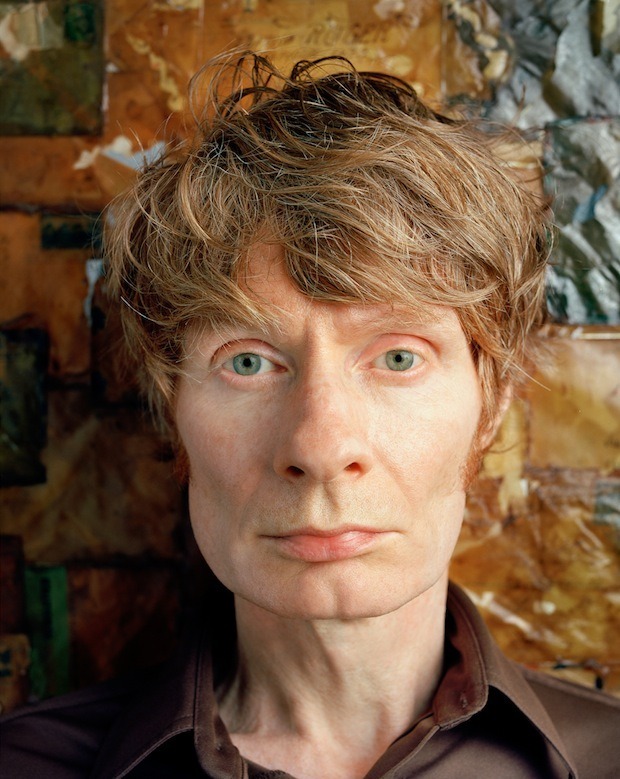 JG Thirlwell embodies the frenetic energy of disparate perspectives, his dueling alter egos each elbowing each other for the perfect position. With a career as both a musician and composer, Thirlwell has let his passion for music guide him through a never-ending maze of sounds. Like most musicians Thirlwell’s fixation with music started at a young age. His parents met at the Royal Academy in London, and early on he was encouraged to embrace music in all its forms. He played the cello, but never excelled at the technicalities that are essential in classical studies. “I was in an orchestra briefly, but I would get lost in the score,” he admits. Eschewing professional training for a personal notation system, Thirlwell spent much of the past three decades creating intense orchestrations under several pseudonyms including Wiseblood, Foetus, Steroid Maximus and Manorexia. Early projects like Wiseblood explored violence and machismo, but even then Thirlwell tapped into classical elements. Each new project was born out of a necessary evolution: “I tend to have ideas and stew on them for a long time before I do anything about them. Even early Foetus had symphonic elements; cinematic elements have always been there. It’s been narrowed down and focused since I’ve been working more in the classical world. Whatever rock elements have been in my work have been falling off over the years,” he says with a laugh. Perhaps Thirlwell’s latest work was born from the clarity that often comes with age, or simply an attraction to new experiments. What’s clear is that his compositions haven’t lost their edge. Songs that once echoed with bass guitar and moans, have been replaced with the crescendo of a horn and the rattle of a drum. Sounds are layered upon each other, causing friction, forward momentum, tension, and release. “Maybe it’s true of a lot of artists, at least it was for me, but when you first start out there’s a rush of ideas that just flood out of you. There’s a certain naivety that comes along with that, and I think that’s true of my work too… it makes me cringe.” Thirlwell, like all prolific artists, sifts through his own work with the sharp tongue of a critic. “As time goes by, you go through what you’ve done, and you can see it objectively and see what works and what doesn’t. I don’t want to repeat myself or be that person that makes the same album over and over again. I’m trying to do different things all the time, and I get more and more self critical about what I’m doing over the years; it’s just part of the editing process.” From the outside, this self-taught musician has done what many only hope to do. He learned classical instruments without the aid of a teacher, figured out how to compose pieces using his own system, and in doing so has taken classical music to new spaces. But that’s not where JG Thirlwell’s output stops. In 2003 Cartoon Network premiered its animated series The Venture Bros., with Thirlwell’s compositions in tow. Often demented, hilarious and action packed, Venture Bros. offered Thirlwell the perfect opportunity to explore the power of soundtrack. Threading together plot, and building on character development, Thirlwell who most often works autonomously, seems genuinely thrilled by the structure and deadlines he’s given to follow. “The first season was difficult,” he said. “Getting the musical character and identities fleshed out was tough at first, but now I get so many great challenges. The possibilities are just endless – I can take the same song and make it Hawaiian style, changing the theme will change everything.” The cinematic qualities of his music lend themselves to this kind of work, and Thirlwell, ever the explorer, can’t wait for his next adventure.